The world is not new to artificial intelligence (AI). Alexa, Siri and Google Allo are some of the widely known AI derivatives, often dubbed as virtual assistants, that OEMs have been using over the years with the objectives: drive user engagement and make a difference. In the recent time, AI has made its entry into the online retail sector, albeit with a new name so-called Chatbot. Retailers ranging from Nordstrom to DSW and Sephora are using chatbot to boost their customer experience endeavor. The integration of Chatbot to any e-Commerce operation is, in fact, the integration of artificial intelligence to the natural intelligence as a chatbot (artificial) eventually has to serve a human (natural) and that?s too after understanding his or her needs or situations. Hence, the chatbot programming must go in sync with the customer engagement strategy and add value to the customer experience (CX), which is perceived as the key business differentiator. Here is a set of principles you need to follow to make your chatbot offer context-based, relevant solutions to users in a organic way. Irrespective of the advancement in technology, the fact remains that technology can't be a substitute to human beings. So the blueprint of chatbots must document its purpose concisely keeping ambiguity at bay. For instance, if you deal in flowers and other products, chatbot roles can be: greeting customers, accepting order, apprising customers of expected delivery time and sending thank you notifications once the product has been delivered. Customers must be in the know as what the chatbot can do for them and what it can't. Defining expectations and limitations in advance brings dual benefits. Programmers know as what they have to do and customers, what they should expect from the technology. Such a chatbot is instrumental in driving user engagement and keeping dissatisfaction factors in control. Your bank knows your needs, your e-commerce vendor knows what kinds of products or services you order, your social media knows what kind of posts you prefer and search engine knows what kinds of products or services you look for. And accordingly they cater to your needs. Don't you feel delighted with the personalized care? Customers are no different. Personalized treatment and offerings serve short-term as well as long-term both objectives. In the short term, the acquaintance with shoppers' behavior, interests and preferences helps you drive upsell and cross-sell endeavors, while in the long run, the rapport you build with them nurtures a growth that is sustainable. Imagine a shopping experience, where the sales representative is too busy to respond to your queries. What if he or she pays little attention to what you asked? What if you want to understand the difference between two products showcased there and, the rep, instead of explaining it to you diverts you to a label expecting you to find it yourself? Needless to say, the ignoring behavior will only amount to frustration and you would think to quit the store. The same goes when your chatbot doesn't respond the way your shoppers expect. Try to keep the conversation between chatbot and users as natural as possible. While interacting with your chatbot, users should have a feeling as though they are interacting with a human being. Too many of binary or yes-or-no questions, can lead to 'survey fatigue', and derail the engagement. Call-to-actions and user-interface styling should be done intelligently without sacrificing the CX. We don't build B2B or B2C web or mobility solutions, rather we build H2H (Human to Human) solutions. 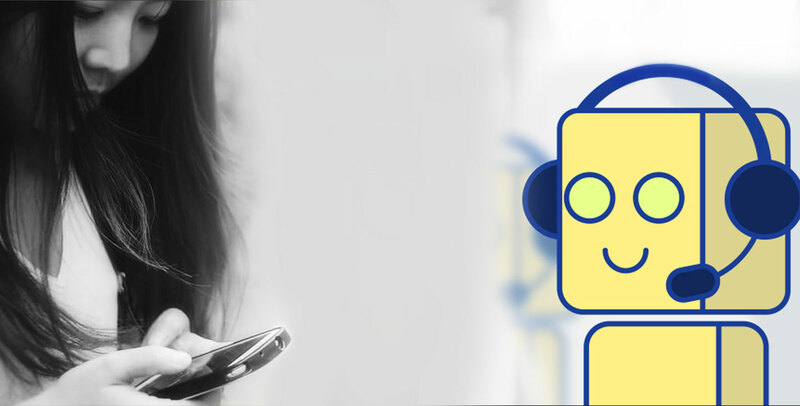 We are committed taking chatbot beyond the conventional boundary of digital assistants and customer service agents. Watch this 2017 AudiCup Chatbot that enabled football fans to connect with their favorite teams and players. The chatbot can collect real-time information avaialble with respective team's Facebook page. We envision a future where chatbots will take on the roles of teachers, financial advisors or even healthcare professionals. Want to reengineer your CX with chatbot development and integration?